Cats are naturally solitary animals - you may already be aware that your kitties like things their own way! Our pets like to be in control, so it may take some time for resident cats to adjust to new kittens. It’s possible that your kitties will hit it off from the start - you might notice them playing, sneaking around, and snoozing together. However, if your furry fluffballs don’t quite connect, don’t panic! Tempers may flare when they are first introduced, but they should soon settle down. However, if they don’t, here are few ways to limit hissing and conflict. Baby steps are necessary when making introductions - your furry bundles of joy need to get used to each other gradually. Never just place your cat and kitten together and leave them to work things out for themselves as this will most likely end in conflict! Instead, secure your cats in two separate areas; ideally, they should have a room all to themselves. Next, exchange each cat’s scents by switching blankets and bedding, and place them in your kitties separate areas. This will help your pets get to know a little about each other before they meet! If this step goes well, you can introduce your cats visually - using a baby gate or screen at the door to keep your kitties separated but where they can see each other. If this goes well then your kitties can start to have short meetings. If they show some signs of tension, continue to play with them or feed them near the door so that they associate this space positively. Supervise their early encounters to ensure that your kitties’ relationship is going smoothly! Even with careful preparation and a gradual introduction, bringing a new cat into your home can be a stressful experience for cats. They may hiss, growl and display feline signs of unhappiness during their early encounters. Here’s why your kitties may not get along plus a few steps you can take to nurture their friendship! Cats are a bit controlling! They don’t like change so may feel anxious or confused by any new additions to the family. Make sure that you try and share your attention between your kitties - you may need to provide your resident cat with more reassurance than usual. 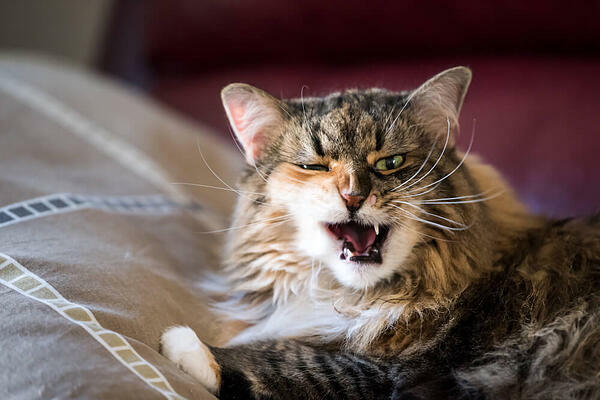 Feeling unsettled can cause your pets to react by hissing and showing other signs of aggression. Keep their schedule as close as possible to their usual routine, so that the only change they are experiencing is the new kitten. Your kitties will feel a lot better when they feel in control of their own environment. 2. They don’t want to share their pad! Remember that your resident cat has been master of the house for some time; they are used to having things their way and when a new kitten is introduced, they may be reluctant to share their space! Make sure that you have plenty of resources for your kitties; set up one litter box per cat, with one extra, in separate areas. You should also make sure that your resident cat isn’t displaying their unhappiness by eliminating outside the box. Each kitty needs easy and constant access to their own food, water, scratching post and litter box - they’ll also like to have their creature comforts such as favourite toys and sleeping or hiding spots! To stop your kitties feeling stressed, always make sure that an exit is available; knowing that they can walk away can stop potential kitty tensions arising. Your cats will like knowing that they can go and have some alone time when they need it - so avoid confining your kitties to the same space together without any exits. If your cats are not getting along very well, let them distance themselves - or safely diffuse the situation by talking loudly or using loud claps. Always let them meet on their own terms; never force them to be together, but leave doors open and hang around to supervise them. Ensuring that your kitties feel confident and secure in their space is an essential step to creating peace and harmony. 4. Are your cats similar? Do you know the feeling of not getting along with someone because they are similar to you? If your new cat is a similar size to your resident kitty, or they are both males, their instincts may cause them to be aggressive. When choosing your new kitten, try and ensure it is compatible with your resident cat, with similar energy levels. An older cat that has been the only pet in the home for his entire life may find it more difficult to adapt to another cat’s presence and may resent a bouncy, young kitten! Some cats may instinctively hiss or act assertively when you introduce a new kitten, so you’ll need to offer lots of reassurance and extra attention. If your cat is frequently hissing at your kitten, keep meetings short and brief, using a FELIWAY CLASSIC Diffuser to help them remain comfortable and calm. Also, watch out for bullying between your kitties. For example, if one cat is avoiding certain areas or one cat is blocking the other from a particular space or resource then this is a sign of bullying. You should never punish your cats for showing aggression but make sure that both have access to their own space and resources. If there are existing conflicts and tensions between your kitties and they’re not getting along, FELIWAY FRIENDS can help. Plugging in the Diffuser where your pets spend most of their time can help them feel more comfortable sharing their space and maintaining harmony in your home. Within one week, FELIWAY FRIENDS can reduce conflict behaviours between cats, even in households where conflict has been occurring for several years. After one month of continuous use, 84% of pet owners report a significant improvement in their cats’ ability to get along. If you notice tension between your kitties, you should go back to the scent swap and start visual contact slowly again. 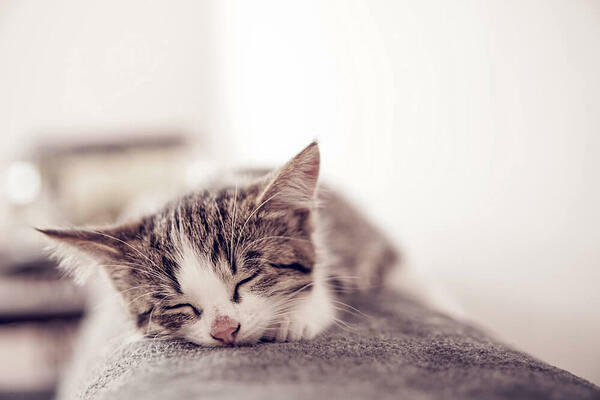 However, you should contact your vet if you are worried about your cat’s health - for example, if you see prolonged fighting, injuries or if one of your cats stops eating or using the litter box, or if they start spraying or hiding regularly.